Connect your camera for fast downloads with our ultra fast Mini B USB cables. Fast digital transfer for transferring pictures to your PC. Pure digital data transfer for pixel perfect transfers. 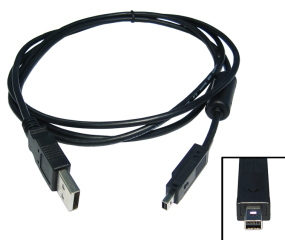 Please note 4 Pin Mini USB Cables are not the most common type of Mini USB B cable, they are mainly found on cameras. 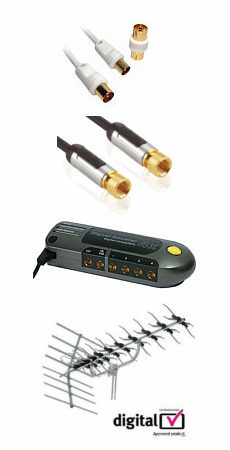 The KVM-404 is a KVM switch that allows access four IBM compatible computers from one PS2 Keyboard, one PS2 Mouse and one VGA, SVGA or Multi-sync monitor. Switching between connecting computers is as easy as pressing the push button (which is conveniently placed on the top of the switch) or entering hot-key commands from your keyboard. There is no interface card or software to install and the Tower KVM is completely independent from any operating system. USB Active Extension Cable 12m, A Male to Female Length 12 meters Up to 4 USB Repeater Cables can be daisy chained. Fully compliant with USB 1.1 & 2.0 specification. Connectors USB A female to USB A male. Data transfer up to 480Mbps. No power needed.